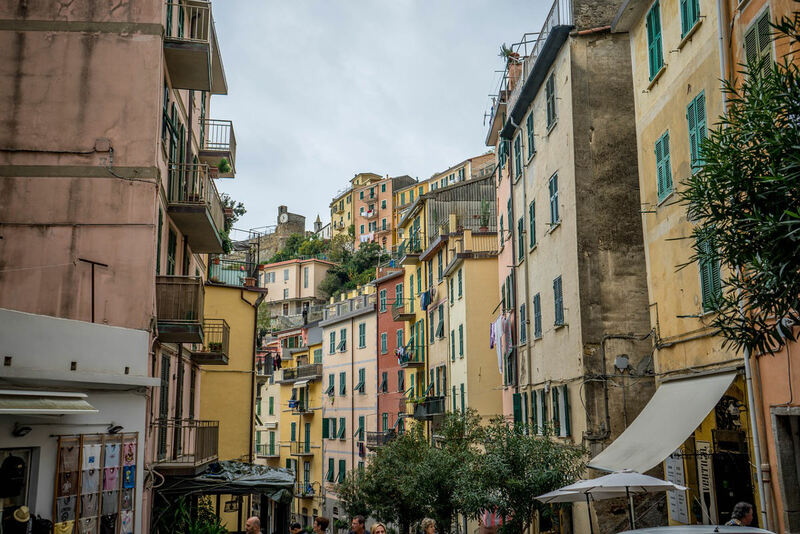 Walk along the Via dell' Amore and you'll find yourself in a village made just like your best dreams of Italy have always looked - this is Riomaggiore -the southernmost town on the Cinque Terre. Should you arrive by train, head through the pedestrian tunnel that brings you out at the bottom of the hill leading up through town. 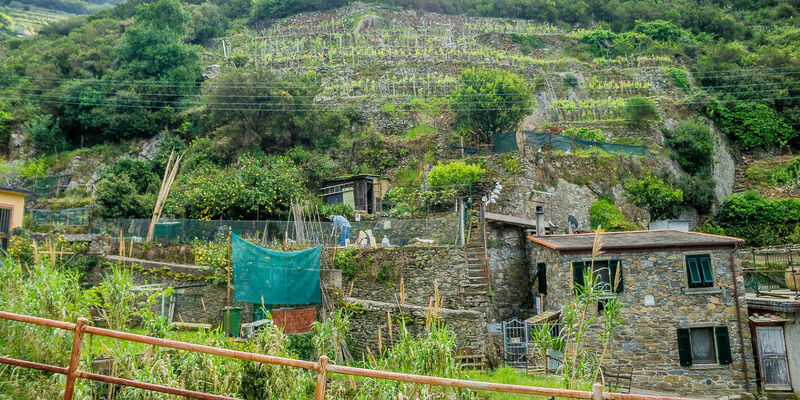 Many people simply walk up the hill, visit the 14th century church of Saint Giovanni Battista, and then head down again, back to the station and home. 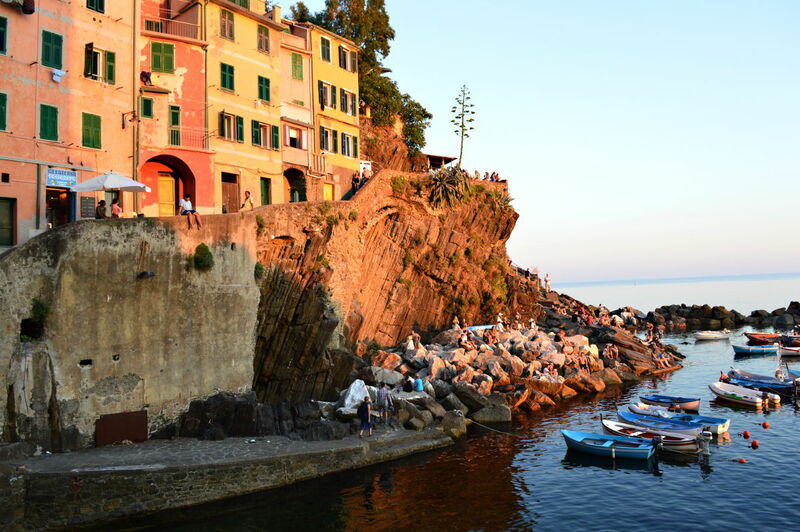 They don't even realize that there's a gorgeous little harbor – perhaps the best part of Riomaggiore - and they've just gone and missed it! To not make the same mistake, follow the sign that says Marina - it is on your right as you come out of the tunnel from the station. 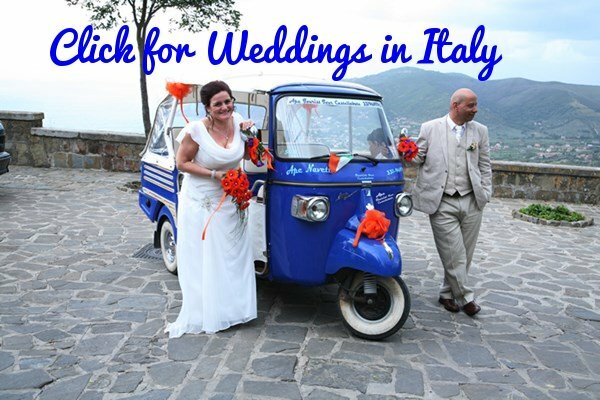 If you'd like to stay over in the village then the best option is the L'Ancora (click for review and photos). 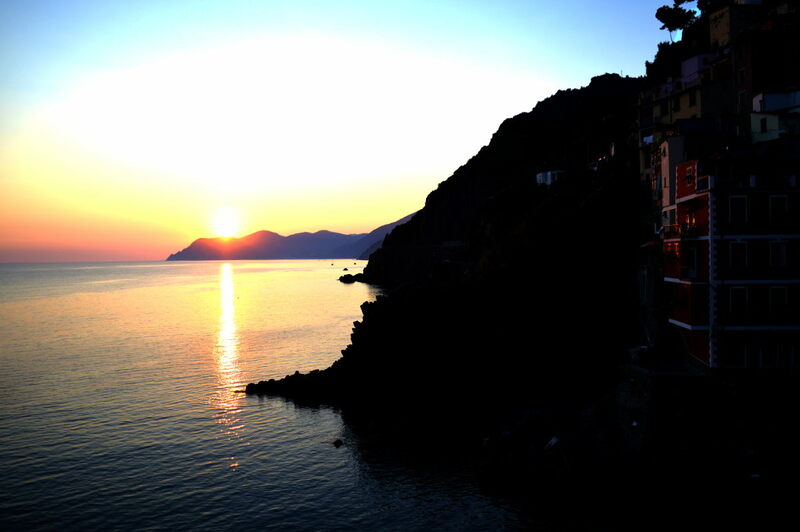 Staying over is a great idea - it allows you to enjoy the sunset here which is the best on the Cinque Terre - more on that further down the page. Also, after dark, the day-trippers have gone so you'll get the town all to yourself - well not quite to yourself but there'll be more locals than tourists which is always nice. 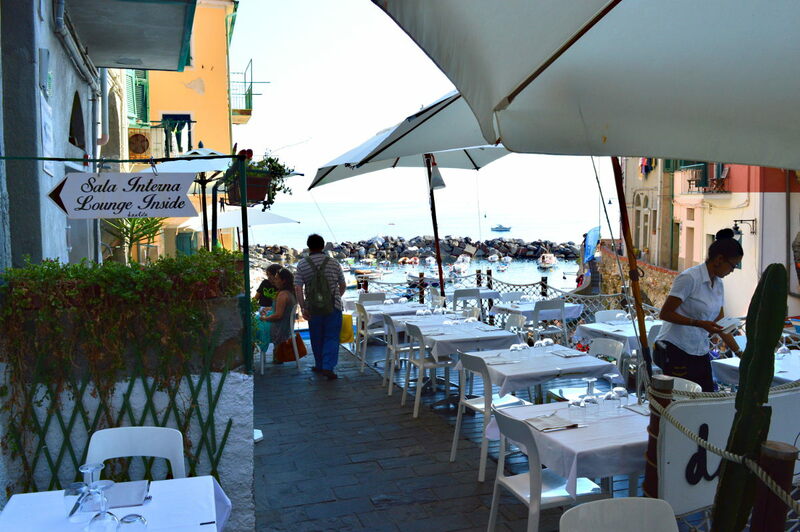 A lovely place for lunch or dinner, on the water too, is the Enoteca Dau Cila. In the summer you'll have to make reservations as it is so popular - don't be fooled by the photo below - this was taken at 5:30 pm and things really start filling up from around 6pm until late. Earlier in the evening there are mostly American and Germans with the British arriving a little after and finally the Italians and Spaniards from around 8pm. Try the sea bass or the ravioli di mare - if you enjoy seafood you'll love these dishes! 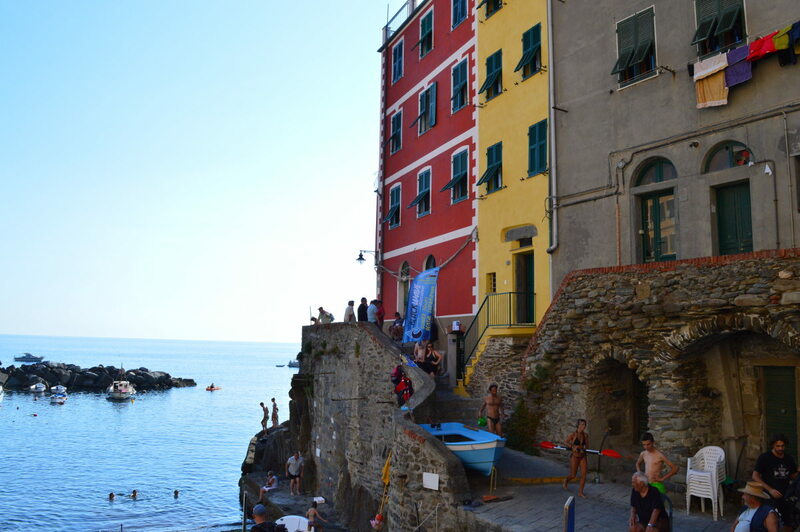 One of the best ways to see the Cinque Terre is by boat. 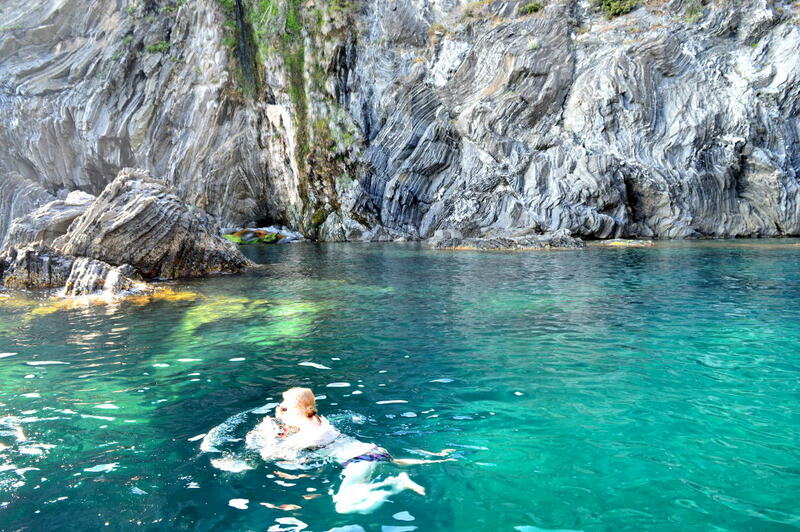 Many of them leave from Riomaggiore or from Monterosso al Mare, The two best options are either Angelo's Boat Trips or those run by Mario (degiorgimario@alice.it). 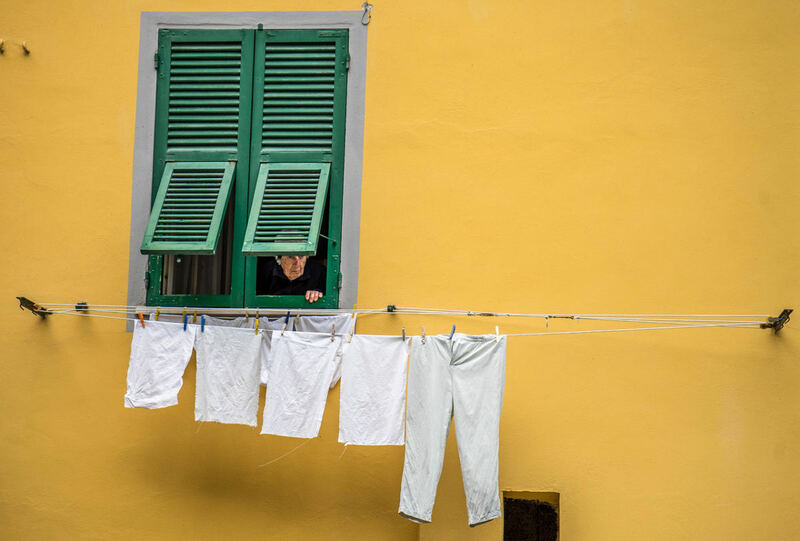 I love watching local life - people going about their business, hanging out their washing and catching up on gossip. 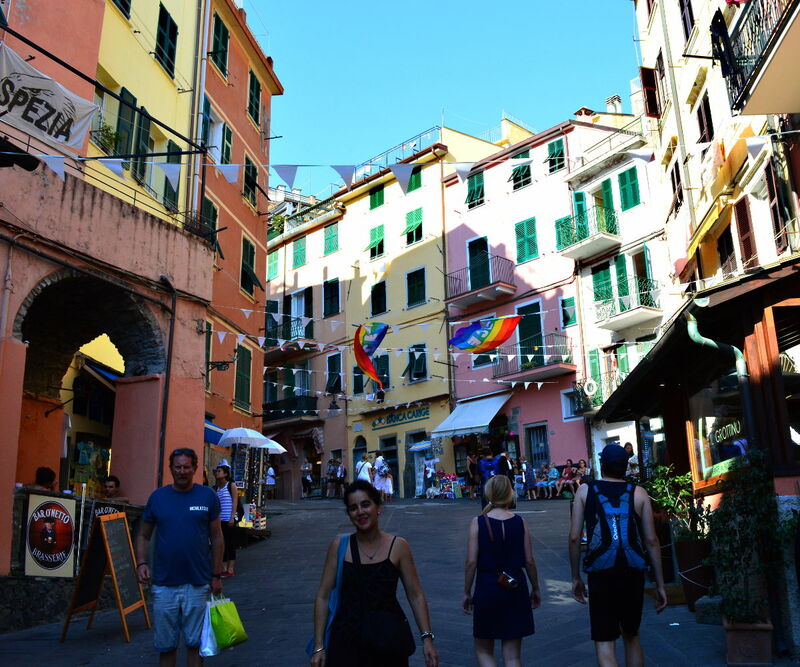 The best time to discover the "real" Riomaggiore is in the off-season (May and late September are good - fewer tourists but still good weather). If you want hardly a soul who's not a local then come in January - even with the cold and rain it is still lovely and between the cold and rainy days you'll get a few lovely sunny ones too. This is the road leading up from the station and heading to the Church of Saint Giovanni Battista. The first photo was taken in April while the second was during the height of summer in July. 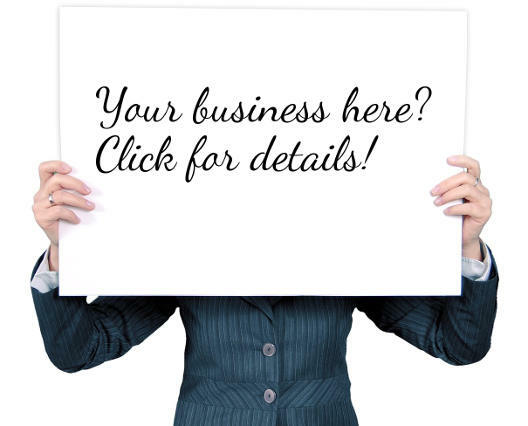 The lady in the middle of the second photo is my wife Maria who runs our site on Venice. 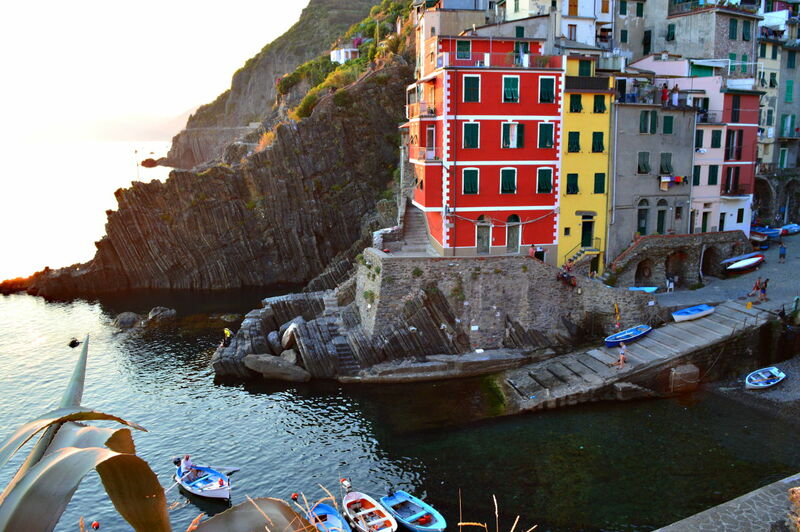 Riomaggiore is one of the loveliest towns on the Cinque Terre to watch the sunset. Get yourself a spot somewhere around the port, best spot of all is at the bar up the stairs to the left of the port. It is just behind that funny looking tree growing out of the rocks in the photo below.